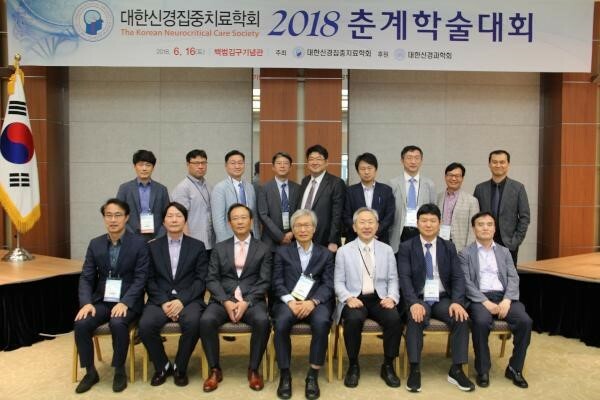 The Korean Neurocritical Care Society (KNCS) held the first regional Asian Chapter Neurocritical Care Society (NCS) Meeting in conjunction with KNCS Winter Symposium on Dec. 14-15, 2018 in Seoul, South Korea. The original idea for boosting quality of neurocritical care in Asia had been discussed with Dr. Gene Sung, and KNCS are lucky to have a chance to host the first Asian Chapter meeting in Seoul with a full support from Asian neighbors including Japan, Philippines, Nepal, India, Singapore, Indonesia and Australia. All Asian partners are sharing the common vision with NCS in improving quality of care for critically ill patients with neurologic disorders. During this one and a half day long meeting, 22 lectures will presented including recent update of status epilepticus, management of subarachnoid hemorrhage, multimodality neuromonitoring, and the clinical application of targeted temperature management in various neurologic conditions. There will be 14 international invited speakers including two NCS officers (Drs. Jose Suarez and Gretchen Brophy) and 100 participants already pre-registered.